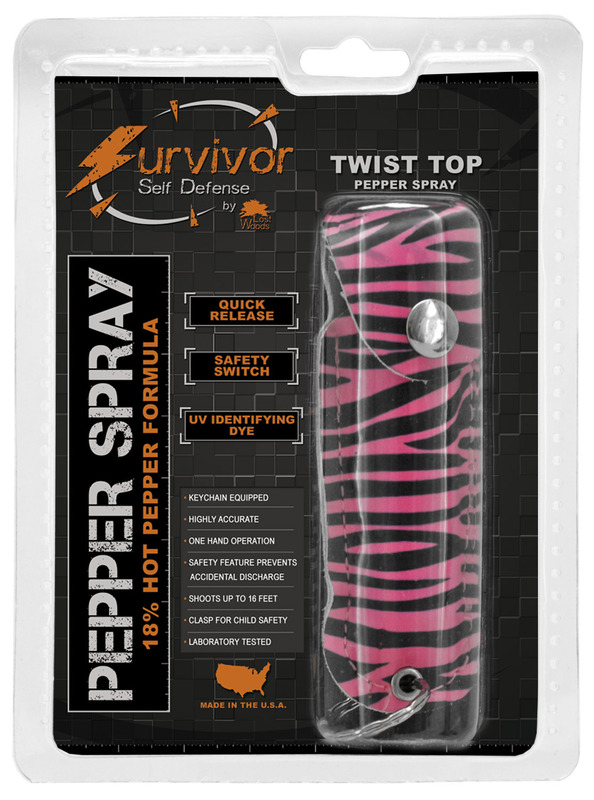 The Survivor Self Defense 1/2 ounce pepper spray in 18% OC (Oleoresin Capsicum or known as "red pepper") is used with the highest grade formula and laboratory tested for no-leak and optimum efficiency. Comes with a beautiful holster with keychain and available in assorted colors. The easy twist-top makes it quickly accessible when needed - just twist and shoot! Small, mini, and compact to fit in your purse, pocket and on your keychain. Comes in a beautifully designed blister pack - ready for retail display. (L x W x H) 6.88" x 5.13" x 2.13"